Bursting with essential fatty acids, vitamins and antioxidants, rosehip oil is a healing oil that has the unique ability to deeply nourish and balance all skin types. With your first application, skin instantly feels smoother and softer. Over time, wrinkles, scars and stretch marks may begin to fade and your skin’s natural healthy glow is restored. Rosehip oil is a fruit oil extracted from the hip of the rose. The hip is the fruit that is left after a rose has bloomed and the petals have fallen. 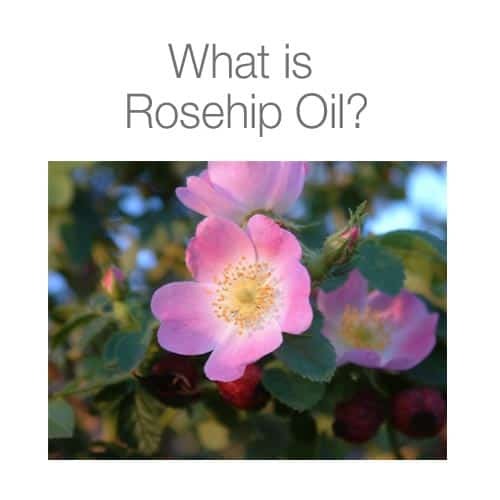 Rosehip oil can be used by any person, of any age, with any skin type. The superfine oil is easily absorbed by skin and doesn’t leave behind any oil residue. 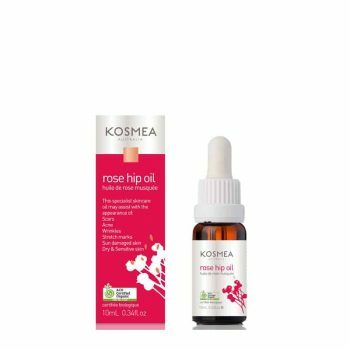 Kosmea Certified Organic Rosehip Oil comes from wild rose hips (Canina) and is a naturally rich source of essential fatty acids, vitamins and antioxidants. An omega-3 fatty acid that is needed for the structure of cell membranes and helps dry skin conditions by providing essential moisture. An omega-6 fatty acid that helps cells to provide a natural barrier to environmental damage. An omega-9 fatty acid that helps to repair tissue damage and improve skin condition. Naturally occurring vitamin A that helps to prevent premature ageing caused by sun exposure. May help to improve the appearance of acne and oily skin, sun damage, wrinkles and pigmentation. A powerful antioxidant that helps protect and repair skin from premature ageing caused by modern living. A source of pro-vitamin A, an antioxidant that helps protect the skin from ageing and improves the appearance of sundamaged skin. 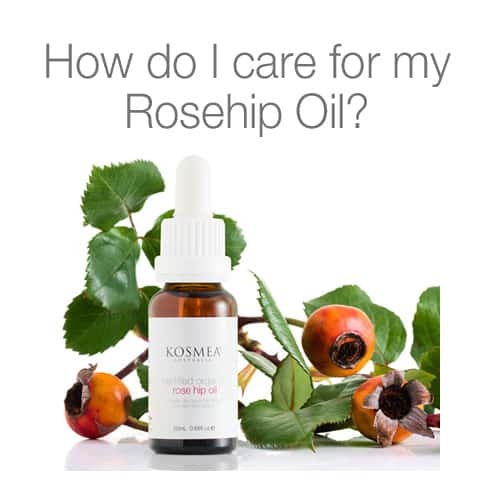 Rosehip oil is the key ingredient in all Kosmea skin care products. 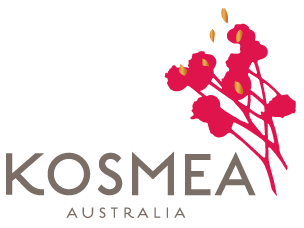 Other ingredients in Kosmea’s skin care ranges are included for their natural benefits and include Australian plant and flower extracts, rosehip butter, avocado, macadamia and sesame oils. Rosehip oil can be used to protect all skin types including sensitive skin and oily skin. The oil can be used on all members of your family, whether a newborn baby or a grandparent. Our oil can be used during or soon after pregnancy. It promotes a smooth and elastic skin by preventing stretch marks. Why Is Rose Hip Oil Good For The Skin? Humans have known about the benefits of rosehip oil use for hundreds of years. Kosmea has taken nature’s gift and crafted a pure, unadulterated organic oil that does wonders for the skin. Omega 3, 6, and 9 are the essential fatty acids required by our body. These elements are vital for the health of our skin and our overall health and wellbeing. The human body is unable to produce these fatty acids. These acids help repair damaged skin tissue and regenerate skin cells. It is the essential fatty acids in rosehip oil that quench dry, sun damaged skin and help to improve the appearance of burns, scars, wrinkles and stretch marks. 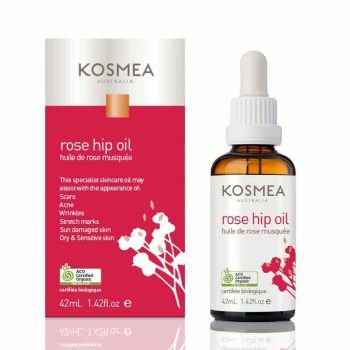 Kosmea’s Certified Organic Rosehip Oil is guaranteed to contain a minimum of 80% essential fatty acids. 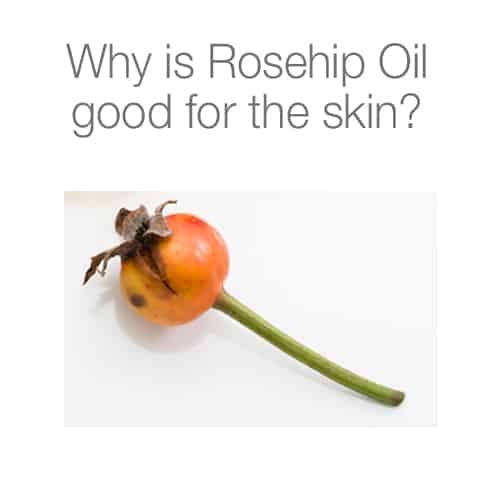 Rosehip oil is rich in vitamin A or trans-retinoic acid. The latest research reveals that trans-retinoic acid could help prevent premature ageing caused due to sun exposure. When skin is exposed to the sun, it can increase levels of enzymes that lead to the breakdown of collagen and elastin. The trans-retinoic acid in rose hip oil reduces the activity of these skin-damaging enzymes, reducing damage caused by the sun. Antioxidants are micronutrients that protect tissues in the body. Rosehip oil is rich in a range of antioxidants, including beta-carotene and lycopene, which help to protect and repair skin from premature ageing caused by modern living. Ageing causes the skin’s collagen fibres to fragment, or break down. Essential fatty acids play a key role in the maintenance and regeneration of the collagen and elastin fibres that keep skin firm and youthful. The essential fatty acids and vitamins in rose hip oil are readily absorbed by the skin and help to slow the breakdown of these fibres. With its neutral pH balance and anti- inflammatory properties, rose hip oil keeps skin balanced and healthy, helping to protect against cell degeneration caused by bacteria and oxidants. The Vitamin A found in Kosmea Rosehip oil is ideally responsible for improving the skin’s moisture level as well as the reduction of fine lines and wrinkles. The essential fatty acids and vitamins in rose hip oil help to keep damaged skin hydrated so that a wound can heal quickly without drying out too quickly and tearing the skin surrounding the area. These fatty acids are known as emollients, which improve the permeability and flexibility of the skin. The Vitamin A present in the oil could contribute to scar healing and skin regeneration as Vitamin A has been known to play a role in enhancing the skin’s tone and its texture. The oil also has anti-inflammatory properties that help to prevent infection. 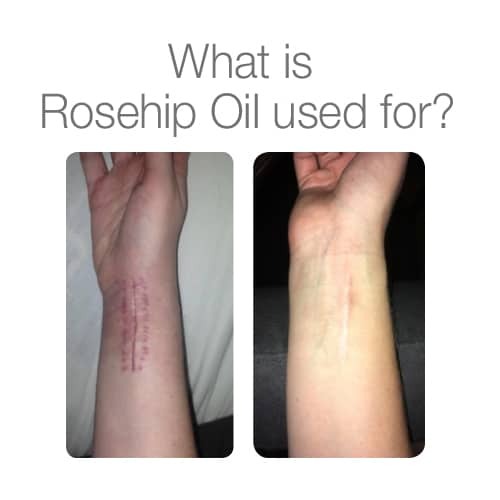 The application of Kosmea’s Certified Organic Rose Hip Oil to recent scars or even old scars up to twenty years old can help to improve scars in both colour and texture. 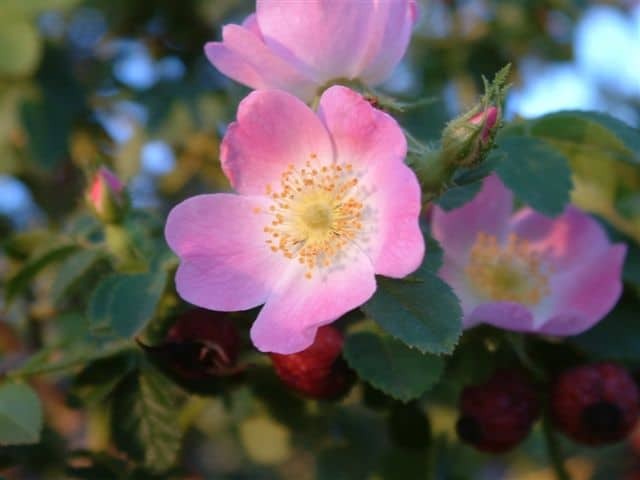 Another interesting benefit of rose hip oil is that it could combat the damage caused by the sun’s UV rays on the skin. The oil contains antioxidants which fight the free radicals responsible for photo ageing. The essential fatty acids, in combination with Vitamin A help, enhance the skin texture, tone as well as pigmentation. The fact that the oil plays a huge role in moisturising the skin and mitigating irritation makes it an ideal treatment for facial rosacea. Another benefit that makes rose hip oil popular is the natural glow it gives the user. Not only does this oil help reduce or get rid of wrinkles and fine lines, but it also gives the skin an appealing and a healthy glow. All the ingredients in rose hip oil are natural, and that makes it an ideal healthy treatment for the skin. 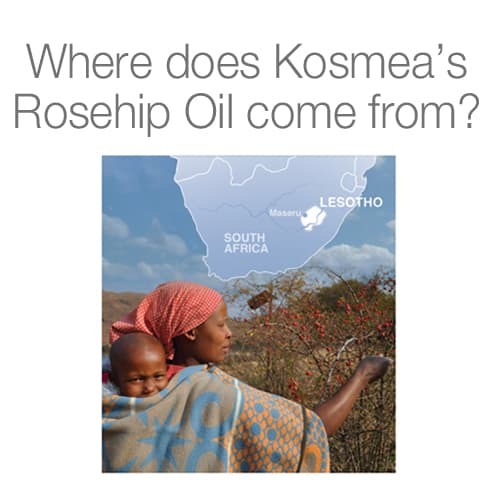 Where Does Kosmea’s Rosehip Oil Come From? Kosmea’s ethical sourcing of wild grown organic rosehips is the first and most important step in ensuring the highest quality rosehip oil. 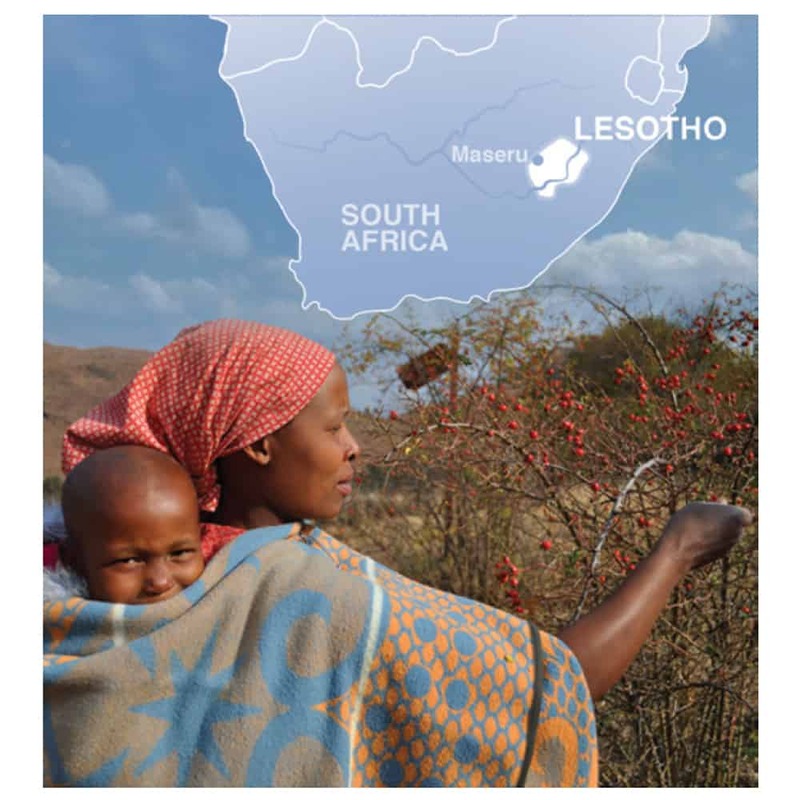 Kosmea rosehips are hand-picked by the local people of Lesotho, in Southern Africa, providing the community with a sustainable income. Lesotho is a country with extreme and widespread poverty and Kosmea is proud to help provide a sustainable income to the people of Lesotho. Kosmea sources 100% certified organic rosehips from the Maluti Mountains of Lesotho, where rosehips grow wild and are not commercially farmed. This region is 3300 metres above sea level, resulting in high rainfall, pure, clean air and plump, juicy rosehips. 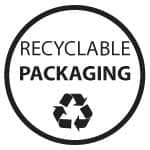 The area is certified organic, which means that no artificial fertilisers or pesticides are used. 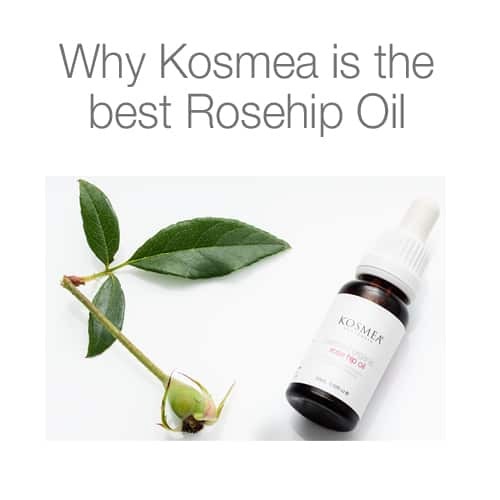 Kosmea is the original and the best rosehip oil, drawing on two decades of experience. It is the unique way that our rosehips are sourced, grown, picked and extracted that makes all the difference. 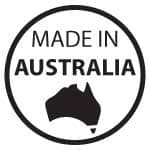 Kosmea is an all Australian owned and run company. We are dedicated to ethically sourcing our rosehips, which ensures a sustainable income for the people of Lesotho and ensures that you receive the highest quality certified organic rosehip oil. To preserve the maximum amount of essential fatty acids, vitamins and antioxidants, our oil is extracted from the rosehips using a heat-free and solvent-free process called supercritical extraction. Heat, air, water and light can all affect the quality of rosehip oil and so these are avoided as much as possible during the manufacturing process. 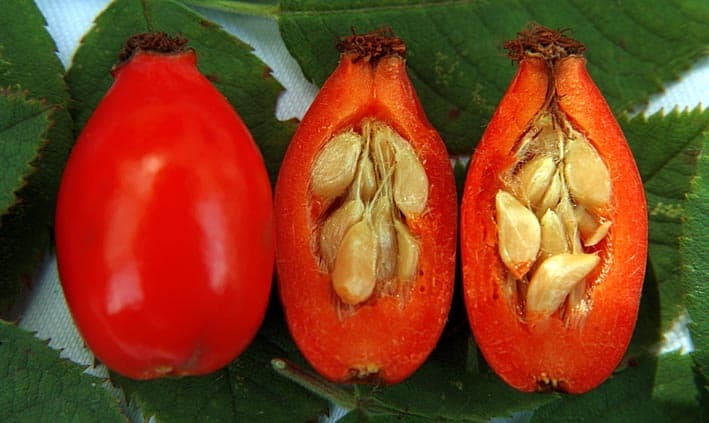 Kosmea use the fruit, skin and seed of the rosehip to extract rosehip oil. The seed is rich in many of the essential nutrients that make rosehip oil so good for the skin and is responsible for giving Kosmea Certified Organic Rosehip Oil its rich amber colour. How is Rosehip Oil Extracted? Rosehip oil is a fruit oil rich in essential fatty acids, powerful antioxidants, lycopene, beta-carotene and vitamin C. These vitamins feed the structure of the skin, repairing damaged skin tissue and creating new skin cells. 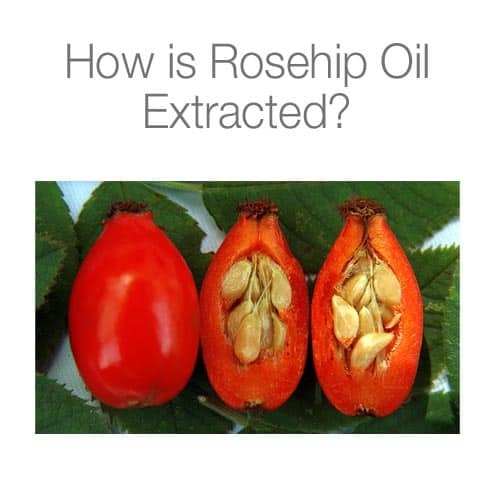 Rosehip oil is a unique skin care ingredient and at Kosmea we make a very unique rose hip oil. In order to preserve the maximum amount of vitamins, essential fatty acids and antioxidants in the rose hip oil, it is extracted using a heat-free and solvent-free process called super critical extraction. Heat, air, water and light can all affect the quality of the oil and so we avoid these as much as possible during the manufacturing process. Super critical extraction involves passing a natural gas (CO2) through the rose hips to gently extract the oil. This process is expensive and timely, but ensures that the maximum amount of goodness is captured. 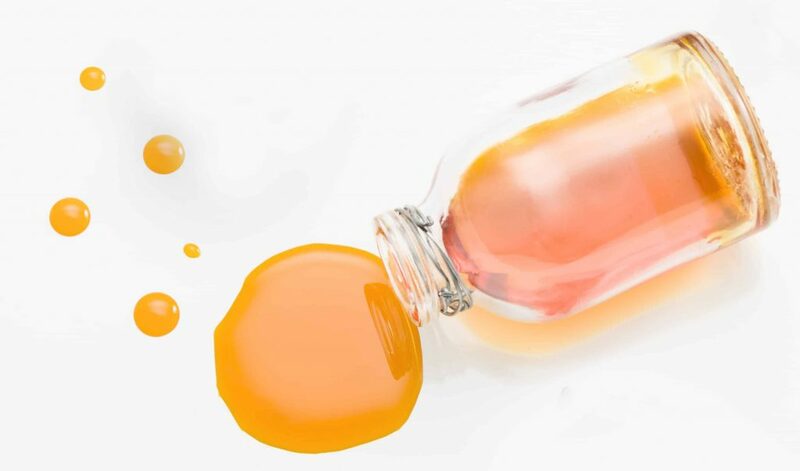 Kosmea does not cold press or use solvent extraction to extract its rose hip oil as both of these processes deplete the goodness of the oil by overheating (cold press) and using potentially harmful solvents (solvent extraction). Kosmea’s super critical extraction process of rose hip oil is a process which starts by collecting the organically grown rose hips and then placing the hips into a pressure vessel. This pressure vessel is sealed and then has liquid carbon dioxide (CO2) gently run through it. Pressure is applied and the liquid CO2 is able to remove the rose hip oil from the hips. This liquid is then collected and as the pressure and temperature are changed the CO2 reverts back to a gas leaving the pure rose hip oil behind. This super critical extraction process has the advantage of leaving zero amounts of any solvent (CO2) behind with the rose hip oil and does not involve high temperatures which may also adversely affect the natural aroma and colour of the rose hip oil. It is an organically certified process which produces the highest quality oil. 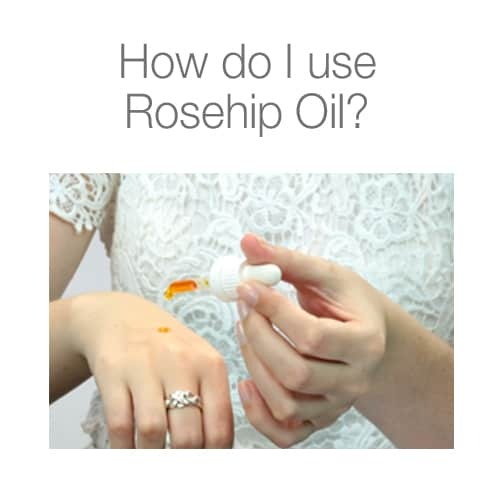 How do I use rosehip oil? Use Kosmea Certified Organic Rosehip Oil as part of your daily skin care routine. Gently massage 2 — 3 drops of oil into damp skin morning and night. It’s that simple! 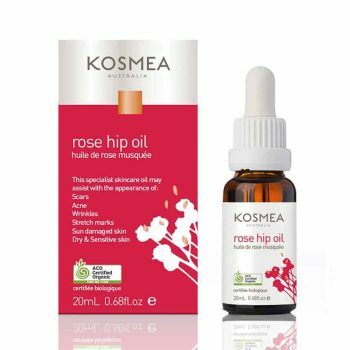 Always use Kosmea Certified Organic Rosehip Oil on damp skin so the oil can be absorbed more effectively. Apply 2 — 3 drops of Kosmea Certified Organic Rosehip Oil directly to the affected area and gently massage until absorbed. Use twice daily or more often if required. Many skin conditions will improve within 2 — 3 weeks. Gently massage 2 — 3 drops of Kosmea Certified Organic Rosehip Oil into slightly damp skin morning and night after cleansing. At night, no other moisturiser is required as rose hip oil allows your skin to repair, rejuvenate and breathe whilst you sleep. Use as a nourishing oil to help soothe dry patches of skin, nappy rash and cradle cap. Gently massage 2 — 3 drops twice a day onto baby’s slightly damp skin. How do I care for my rosehip oil? Ideally, rosehip oil should be kept in a cool, dark place like a bathroom cupboard — but it does not need to be stored in the refrigerator. Keeping your rosehip oil in a dark bathroom cupboard will also protect it from light. It is important to ensure the lid is tightly closed as air can quickly decrease the quality of rosehip oil.